Route 1 // 3:00p - 6:00p // 2.25 mile route. 5 stops. Designed for biking, and also available for joggers, or those that wish to drive. Route 2 // 8:00a - 11:30a // 6.25 mile route. 6 stops. Self-driving route. Route 3 // 9:30a - 1:00p // 3 mile route. 6 stops. Designed for biking, and also available for those that wish to drive. Route 4 // 10:30a - 1:45p // 5.5 mile route. 5 stops. Self-driving or biking route. ​Route 5 // Noon - 4:00p // 15 mile route. 6 stops. Self-driving route. New to Caffeine Crawl? Here's a fun FAQ for you to learn more. - New to Caffeine Crawl? Here's a fun FAQ for you to learn more. - You will receive a confirmation email from one of us within 36 hours after your ticket purchase. Be sure to check the email you bought the tickets from. Your physical ticket(s) will be mailed to you (unless within 4 days of the event, in which case they will be held for you at will call at the start of the event). 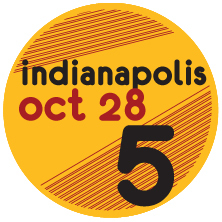 - Tickets include an event bag with Crawl goodies, and admittance to all stops on your selected route (includes a drink or chocolate sample, and short, educational presentation at each stop). You will receive the event bag at the start of your route. - You will receive an electronic route schedule the week of the event via email, as well as a program that is a printed route schedule, at the start of the event. Be sure to check the email you bought the tickets from. - Children are welcome, and there are sometimes caffeine-free options. There are occasionally alcohol-based coffee drinks. All drinks are at the discretion of participating shops. If you plan to bring a child please contact us about ticket need, etc..
- Each stop along the route has a set start and end time that was confirmed with that business. This is to keep the event organized, and give each ticket holder the best experience possible. Please be prepared to stay on schedule and follow cues from your tour guide, as there will be multiple routes in operation at once. - Tickets are non-refundable. Same situation as a concert, sporting event, or any other event. - Biking and walking routes can drive if weather is bad the day of the event. Caffeine Crawl and The LAB will not be held responsible for any travel-related incidents while attending Caffeine Crawl. By purchasing a ticket, you agree to the Terms & Conditions, maintaining full responsibility for your personal and vehicular safety, and your own items, while traveling between shops by foot, car, bus, or bicycle. 15 tickets left. This is the only route available for Friday. All 5 stops are within a 2.25 mile course. This route is designed for biking, but is available for self-driving or even jogging. Car parking is difficult at several of these stops, so keep that in mind if you plan to drive. 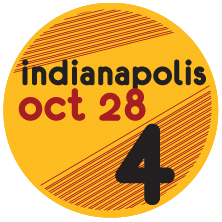 This route begins at Bee Coffee Roasters (201 S Capitol Ave #110, Indianapolis 46225 - across from the Indiana Convention Center) at 3:00pm, sharp! Other stops include Hubbard & Cravens Coffee & Tea, Mile Square Coffee Roastery, Coat Check Coffee, and concludes at Best Chocolate In Town. This route ends at 6:00pm. You provide your own transportation shop-to-shop. ​Route 3 is sold out. This is our early riser route. Start off your Saturday early with 6 coffee stops, and one of those being a local doughnut landmark. All 6 stops total 6.25 miles for this route. This route is a self-driving route. 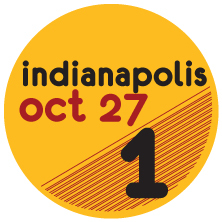 This route begins at Bee Coffee Roasters (201 S Capitol Ave #110, Indianapolis 46225 - across from the Indiana Convention Center) at 8:00am, sharp! Rabble Coffee, Tinker Coffee with Uel Zing Coffee and concludes at Foundry Provisions. This route ends at 11:30am. You provide your own transportation shop-to-shop. 6 tickets left! Route 4 is perfect for those that don't want to get up too early, and get a Caffeine Crawl in just over 3 hours. This route is 5 stops long and 5.5 miles. This route is available for self-driving or biking. 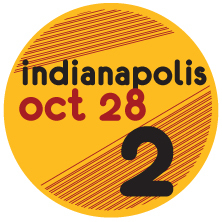 This route begins at Bee Coffee Roasters (201 S Capitol Ave #110, Indianapolis 46225 - across from the Indiana Convention Center) at 10:30am, sharp! Rabble Coffee, and concludes at Kaffeine Coffee with Rishi Tea. This route ends at 1:45pm. You provide your own transportation shop-to-shop. 15 tickets left. Route 5 is a great fit for those looking to explore more of the northern city stops, and start in the early afternoon. This route is 6 stops long and 15 miles. It is self-driving only, and begins at Kaffeine Coffee with Rishi Tea (707 Fulton St B, Indianapolis 46202 ) at noon, sharp! Other stops include Coat Check Coffee, Tinker Coffee with Uel Zing Coffee, Foundry Provisions, Hubbard & Cravens Coffee & Tea (N. Penn. ), and concludes at Liberation Roasting Company . This route ends at 4:00pm. You provide your own transportation shop-to-shop.